← and after the goldfish…? Today the garden is pink. Early summer is the best time for my garden as there is still enough moisture in the sandy soil to keep everything looking fresh. I can even kid myself that the I have a lawn – later in the year it is a bleached expanse of dried vegetation. I have large island beds and I mulch and mulch but it is very hard to combat the sandy soil. Should a rabbit choose to burrow in a flower bed (and they do, Jack Russells notwithstanding) the displaced soil would not look out of place on a beach. I have a rule of thumb for the plants in my garden – if a plant dies I do not attempt to grow that particular plant again. Also, once a plant is established I do not water. Maybe this means I have a lot of similar plants in the borders but on days like this, with the sun shining, a light breeze dancing through the trees and the soil still retaining a little moisture, everything looks amazing. I have my fingers crossed that it will look as good for the Poetry in the Garden course I am running in August…though for that to be the case I would have to wish for rain – therein lies the dilemma. 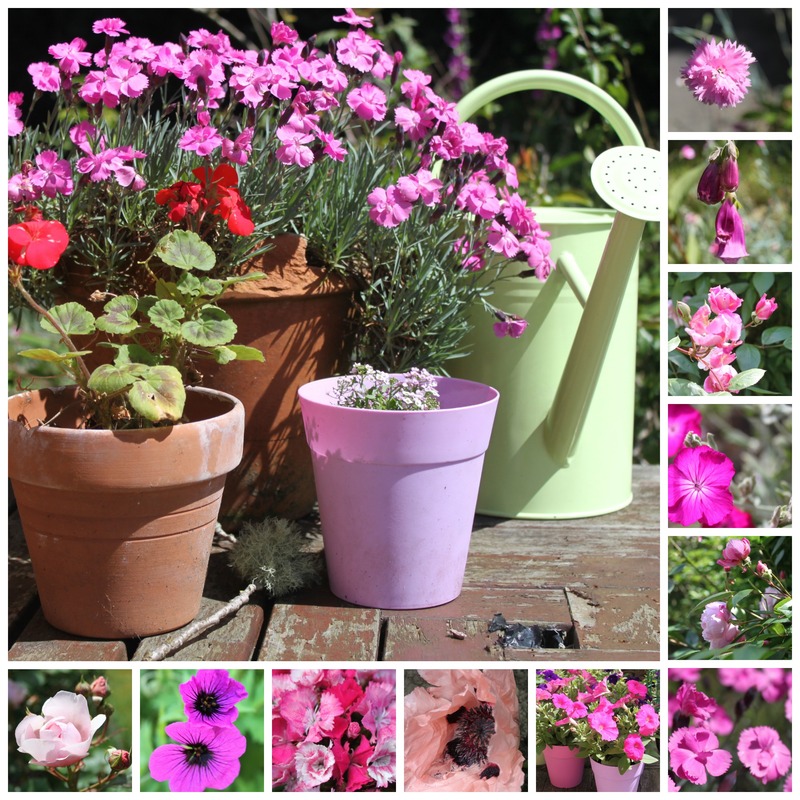 This entry was posted in colours, daily life, garden, inspiration, Life writing, lifestyle, Poetry in the Garden, Poetry workshops, poetry writing group, poets, seasons, Summer, Surrey, Uncategorized and tagged garden, Jack Russells, pink, poetry, poetry workshops, sandy soil, Summer, writing. Bookmark the permalink.